Despite your current circumstances, employed or not, it’s no fun searching for your next opportunity. In today’s economy most of us have either been or know someone that is currently laid off. No one is ever prepared for hearing the words, “Your services are no longer needed.” There are so many questions to consider so many uneasy feelings that come from concerns such as paying the bills, kids who need braces, and the car that needs a major repair. It is never convenient, however once you get past the initial shock, you must recall the fact that when you found that job, you were looking. This may be the perfect time to get a job that better matches your personality and financial goals. 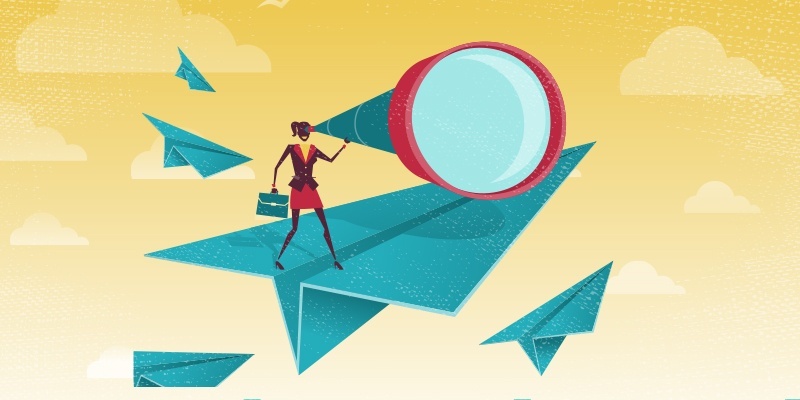 A powerful job search begins with a clear vision of the company and position you want. To prioritize your time and effort we suggest you start with a specific result in mind. Determine what aspects of your next opportunity are the most important i.e. schedule, commute time, location and compensation. If you’d like to advance your education, a part of your goal may be to work with a company who offers tuition assistance. Next take a personal assessment of your current skills and decide if you will stay in the same industry. Besides the stress of looking for a position suitable to your abilities, salary needs and personality, the apprehension of a new venture can overwhelm some to the point of paralysis. This is because no one likes change or being ripped out of their comfort zone. Particularly when the layoff is sudden, or the termination resulted from a recent change in leadership. The number one challenge faced by those unemployed is the belief that any job will suffice. That mindset could cause you to send your resume to employers who may not be a good fit. So during the interview you may tell the interviewer anything to get hired. If in fact you are hired, the job may not be the right fit for you. The next difficult challenge to overcome is not getting any interviews, which is only elevated by the rejection letters from those you are able to get. Company officials appreciate knowing their company is the only one on your radar, therefore if you resume is not targeted for that specific company and position your resume is not given serious consideration. you are competing against hundreds of other applicants, and most HR professionals use scanning software and scanning each resume takes about 30 seconds. Finding opportunities is also a major challenge because only 30% of openings are advertised. If you are not finding openings in your field or at the companies you want to work at, you may have to go the extra mile. The challenge is intensified because of the extra duties involved, such as attending networking events to get to know the hiring manager. In addition to spending time conducting informational interviews. The primary objective is to achieve your next opportunity. However, did you know by setting a specific goal you are likely to be 60 to 80% more productive? Higher productivity equates to more access to job opportunities, and an increased chance at getting hired. With a stated goal you are more likely to focus on efforts that maximizes your time. How quickly you get through the process is only determined by your unique situation. Those who are employed may not be overwhelmed with a sense of urgency as the person who is nearing 3 months (or longer) of unemployment. Regardless you do not want to procrastinate your job search efforts. Companies accept resumes and hire at all times of the year, and you don’t want to miss out on a perfect opportunity. The sooner you get started on your job search with these recommended tips the better. Identify your unique skills: Spend time thinking about your background and the unique skills you possess, besides the in-demand skills within your desired field. For those of you that have been out of the workforce for some time, you may refer to skills such as budget management, organizing events and problem resolution. A defined skill set is basis of a strong resume. Refresh your resume and online profile: Your targeted and classified core competencies are the focal point of your resume. Create customizable templates for a variety of potential employers and positions. As an accomplished candidate, understand that the goal of the resume is to get you the interview, not the job. Be certain your Linkedin or any other online profiles are up to date, with a recent professional photo. Get a second opinion about your overall appearance, it may be necessary to invest in a professional headshot photo. Be realistic about salary expectations: Every position you apply has a specified salary range. While we encourage to always ask to negotiate your starting salary when offered the position, we also recommend setting a definite acceptable minimum. As tempting as it may be to accept an offer, it may not be worth the added stress of accepting less income than what is required for your desired lifestyle. Accepting an offer based on salary alone is never a good idea. Be sure to consider additional concerns such as, commute, advancement opportunities and career progression. If you’re like most people, job search is among your least favorite activities. However, with proper expectations and a simple goal-driven approach, it can also be a rewarding experience. A little guidance and some help from a recruiter will go a long way toward you keeping your sanity and shorten the process.